Birds in the region have a new place to land– at the North Carolina Executive Mansion in downtown Raleigh. 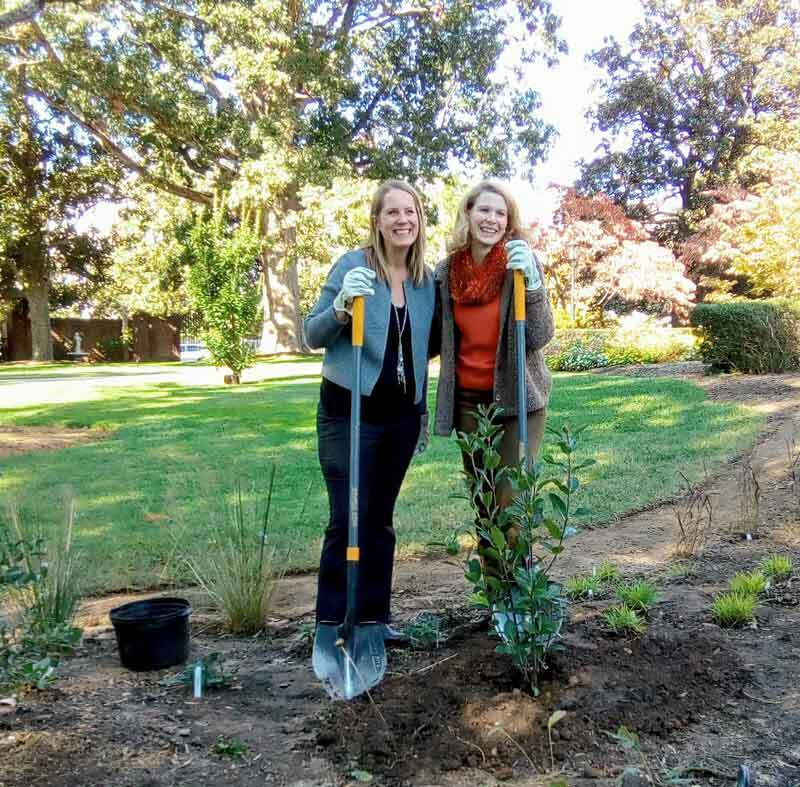 First Lady Kristin Cooper, in partnership with Audubon North Carolina, has refreshed the mansion’s Victorian garden by installing a bird-friendly native plant garden. Old massive (and invasive) privet hedges that blocked the mansion’s south porch area were removed, opening up the view and the space for a new garden. Audubon North Carolina worked alongside the First Lady to design the garden and raise private funds to purchase and install 1,000 bird and pollinator-friendly native plants. New Hope Valley Audubon volunteer and landscaping company owner Ben Skelton donated the garden design. “As someone who loves birds, gardening and our natural environment, I wanted the Executive Mansion native plant garden to be a model for those interested in supporting birds and wildlife in their own backyards,” said the First Lady. Already a backyard birder (who took respite during the Governor’s recent campaign by bird watching) and a gardener, the First Lady was enthusiastic when Audubon North Carolina contacted her about helping to fulfill National Audubon’s challenge of adding one million native plant gardens across the country. “Whether North Carolinians plant just one, or hundreds of native plants in their backyards, they are making a real difference for birds and other pollinators,” the First Lady added. Work on the garden began in summer 2017 with most of the plantings accomplished in the fall. The First Lady also plans to add native plants at the Western Residence in the mountains next year. For more information on Audubon North Carolina’s native plants program, visit ncaudubon.org.